A round foil balloon that measures approximately 17 inches; slightly smaller to save on helium. 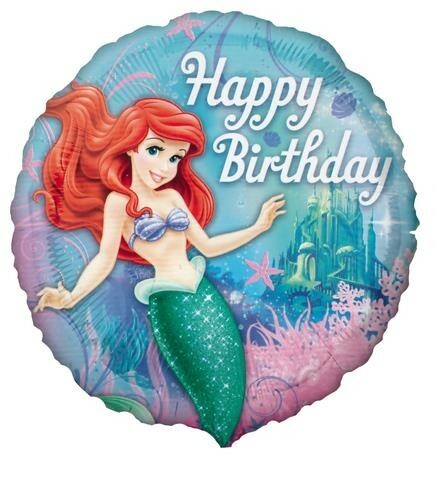 Blue balloon with a castle in the background with lilac and pink detailing; Ariel and the words 'Happy Birthday' in white. Suitable for both air and helium filing.